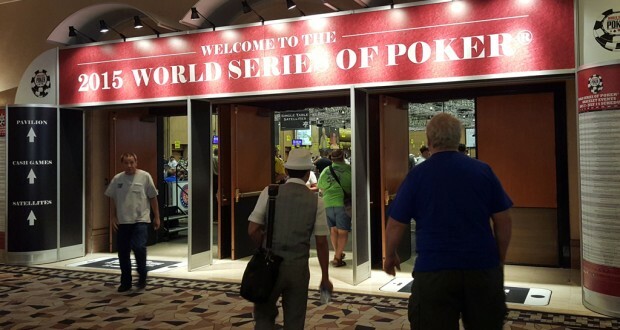 Another WSOP has come and gone without a bracelet for me. No need to dwell on the negatives or bad beats. Last year, I complained about the Rio falling apart. You may have heard about the rain delay during the Main Event this year from a leak in the roof. So perhaps, it’s getting worse. The Rio is part of Caesar’s Entertainment, which is still in bankruptcy and it doesn’t look like that’s going to end any time soon. This year, I decided to concentrate on technology. 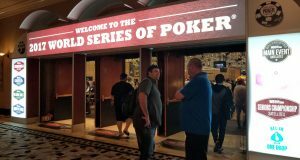 As far as I could tell, the WSOP itself is not doing much to computerize anything. The pre-registration is still being done with paper in a box that must be searched by hand. But I did notice a few modernization elsewhere. Near the Amazon room, there was a bank of lockers that were completely computer controlled, including opening and closing the lockers (see below). 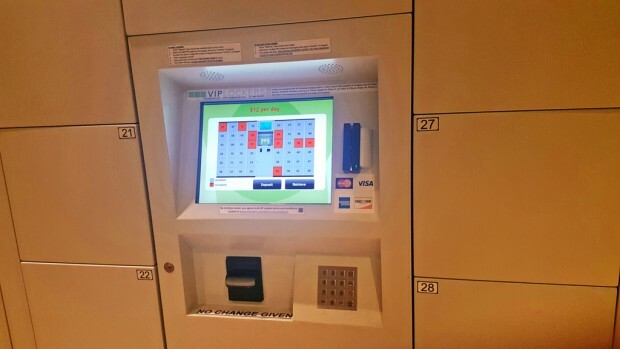 You use the touch screen to select the locker you want and pay $12 per day using your credit card. 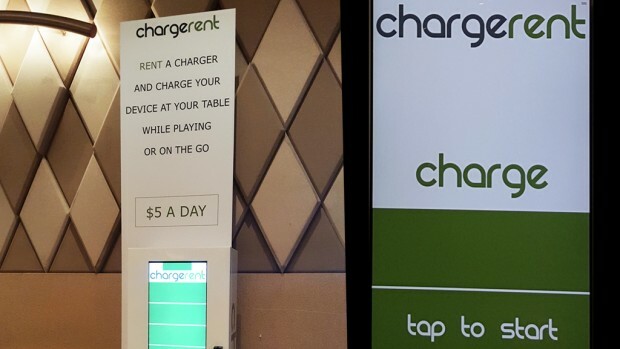 Next up, there were several “Chargerent” kiosks near the tournament rooms (see below). One was in the food court area near the cash registers. 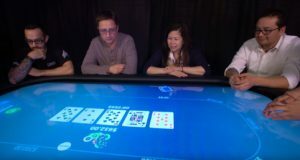 For $5 per day, you can rent a battery device that will allow you to charge your phone while you are playing in the tournament. Of course, you can buy one from about $20 up to $120 online, or from the Best Buy kiosk near the elevators in the Rio Hotel. But if you just need one for a day or 2, this is cheaper. This kios also had a touch screen and credit card reader. 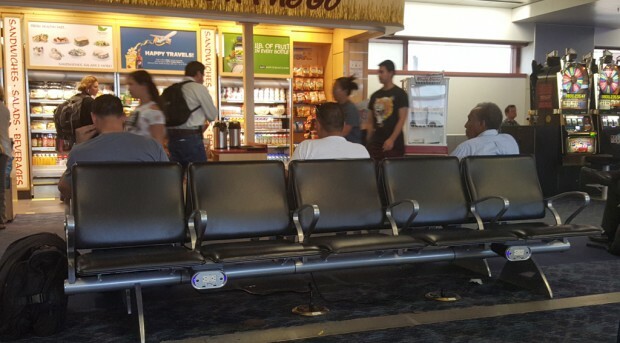 Last but not least, if you look closely at the seats at the Las Vegas airport (see below), you will see that there are AC plugs that will allow you to charge up your laptop or smartphone while you wait for your plane. All airport seats should have this feature instead of the “charging stations” where people have to sit on the floor to charge their phones. 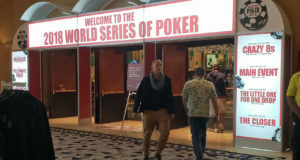 Although my WSOP tournament record was a bust again this year, I did make some money at the cash games and even at the Blackjack tables. What can I say? Of course, I will be there again next year.